Found this very obscure record during the "Great Colorado Record Hunt 2014, "last April. 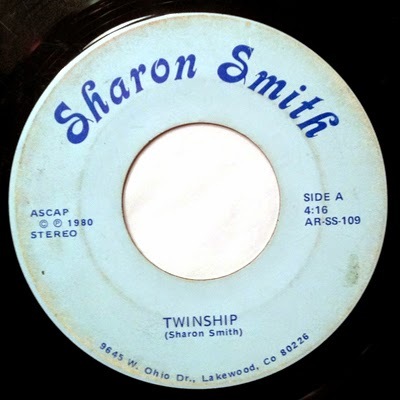 In all of my years of collecting, can't say that I've run across any songs about twins, let alone one with a Colorado connection. Folky femme vocals about the joys of monozygotic siblings, "Twinship." Vanity label (1980) with a Lakewood residential address. Already looked it up - the singer has long since moved. Flip side is another sweet and mellow folk offering, "Imagine Life to Be." Sorry about the audio sample - it's really crunchy.